Anybody with kids will tell you, your weekends are typically spent inside a bounce house celebrating someone's birthday. What is a crafty mom to do in order to keep her sanity? 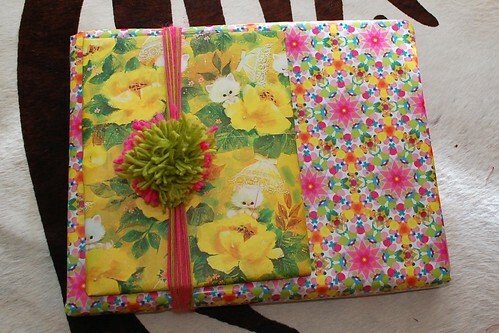 I've compensated and eased the pain by looking at gift wrapping as a new craft hobby. 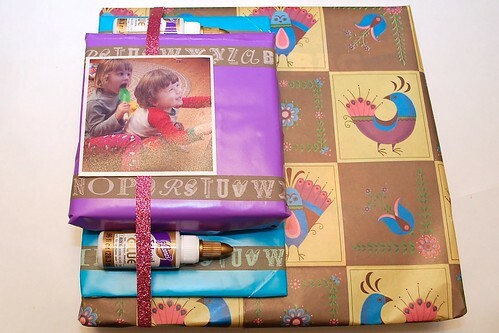 Sure bags are easier, but wrapped gifts are so much more fun to make and open. I love using vintage wrapping paper. This really sets your gift apart. Sure the 5 year old recipient does not care, but it makes me happy. I typically pair vintage with new. Not only do I like the idea of two colors and patterns, but the different sizes make for a prettier gift too. 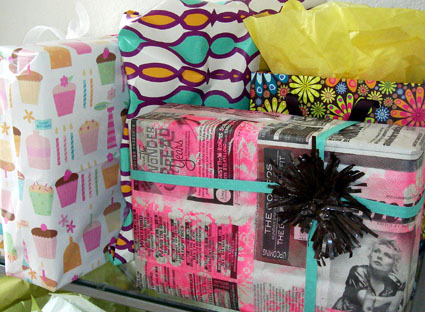 Don't be afraid to make your wrapping paper as fun as the gift inside. 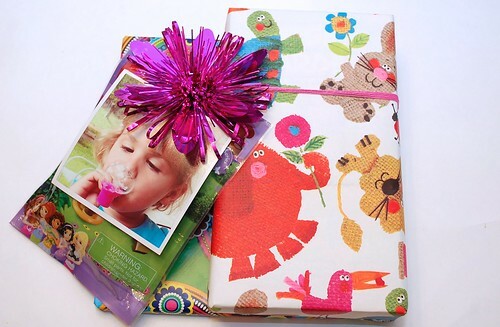 Get creative, stick someone's gift inside a handmade pinata. 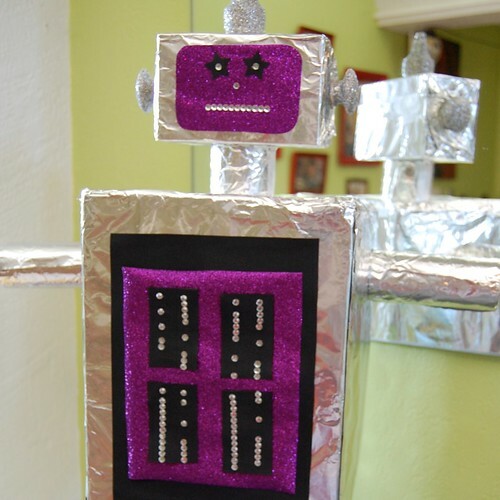 I made this giant robot with the body containing the actual gift. I think the kid liked the wrapping better than the gift inside. The bows, ribbons and trims are the most fun part. It is like the accessories on the gift. I'm obsessed with using yarn pompoms, pictures of my kids in place of tags, I have even been known to stick some Tacky Glue on the gift in place of a ribbon. Have fun wrapping your gifts this holiday season and the joy you got from wrapping those gifts will come through in the gift it's self.